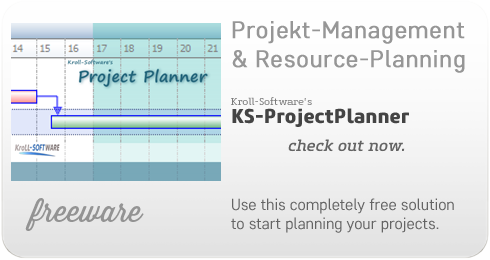 KS.CRM Core Framework, KS-ProjectPlanner, MP3db, InterReg and other products. We offer some useful software for your office and business. trust in applications from Kroll-Software. We also have some nice FreeWare to share..
You want to send a mass email to your customers or members: Informations about your new product, press releases, invitations to fairs and events, christmas greetings, etc. Or even a monthly newsletter. When you try to do this with the standard features of your office package, you will soon come to it's limitations. Time to start right off with a specialized application. You connect to any existing database or build a new address list with the integrated database. You build appealing HTML-mails with the integrated WYSIWYG editor, or you load a HTML template from your webdesigner or from the internet. You personalize the mails by drag-and-drop from database fields, up to custom programming in VBScript. 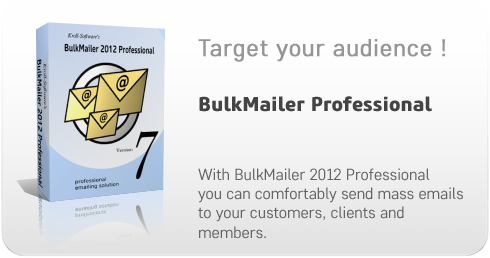 At last BulkMailer sends the mails reliably and in accordance with all RFC/Mime standards like Multipart/Alternative, in unicode or other codepages. Now with secure SSL/TLS support. 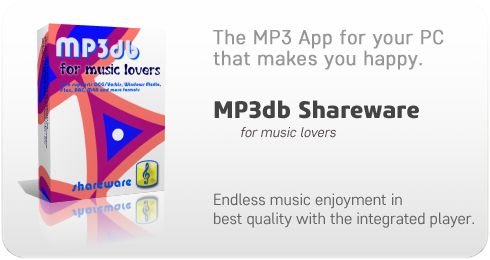 In your larger MP3 collection, you will quickly loose survey. Your MP3 player application comes with a media library, but has a hurting multi-media design. MP3db organizes your audio files in a clearly arranged office look and feel interface with many search and filter functions. Version 2012 comes with it's own integrated player for direct playback within the program. ID3/V2 support and a multi-tag editor help you tagging your files. OGG/Vorbis and Windows Media, Flac, MP4 (m4a), AAC and more formats are supported as well. 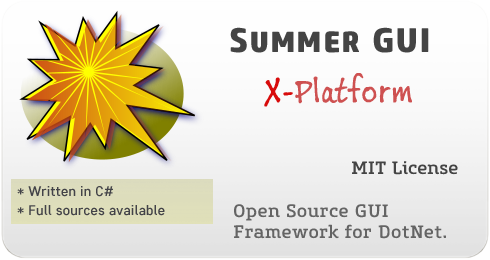 X-Platform (spoken: Cross-Platform) means: Build applications that can run on different systems without recompilation. Currently Linux and Windows are supported, more to come. 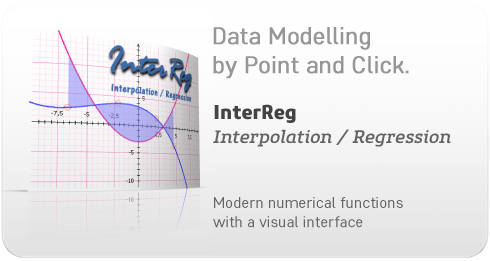 Do advanced numerical calculations on nodes with arbitrary precision just by simple point-and-click. Create i.e. a meaningful sales forecast based on your sales figures. Did you know that your contact database typically contains 3-10% duplicates ? These duplicate records result in unnecessary costs when sending out printed catalogs, are aggravating to your customers, create problems in the controlling, etc. With classical methods you have no possibility to locate these duplicates in your database. 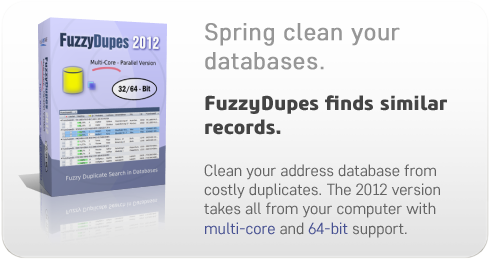 With it's highly optimized pattern matching algorithms, FuzzyDupes finds similar records with high accuracy and precision. You will be surprised and delighted by the results. 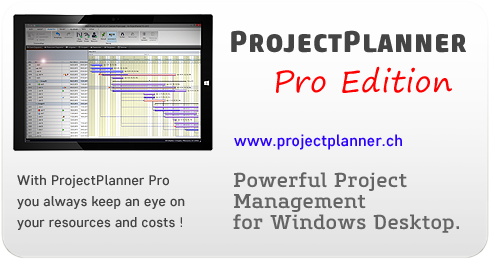 Check out our free project-management solution. The best way to present time depending tasks is a Gantt chart. 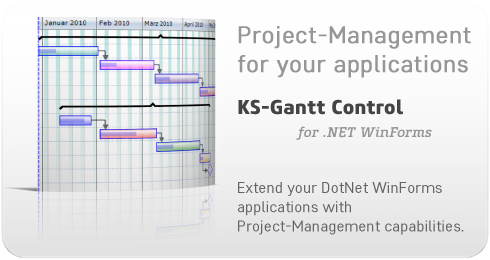 With this Windows Forms control you can easily extend your .NET applications with Project-Management capabilities. 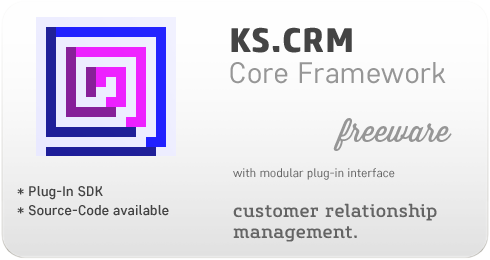 The free CRM by Kroll-Software. Manage millions of contacts in large teams on MS-SQL Server. For developers a Plug-In SDK and Source-Code available. The products are available for download as demo versions and can be unlocked to full versions after licensing. No product-boxes are delivered.